The land of Meluha is an empire created by Lord Rama, and it is ruled by the Suryavanshis. This empire is powerful and proud, however, the Saraswati river that is their source of water is slowing drying up. On top of that, the empire is at war with the Chandravanshis who have allied with The Nagas, a group of sinister and deformed human beings who have extraordinary martial art skills. The Immortals Of Meluha, published in 2010, is the first story of the trilogy. Daksha, the king of the Suryavanshis, realizes that his empire needs help. He invites a tribe from Tibet to help him fight off the enemies. The Tibetan Guna tribe is lead by Shiva, who is a fearless soldier, and the only one who does not fall ill on arriving at Meluha. To everyone's surprise, Shiva’s throat turns blue. The locals believe that this warrior is their fabled saviour Lord Shiva, also known as Neelkanth. Shiva goes to Devagiri to meet Daksha and his daughter Princess Sati. There, he learns about the dangerous wars and terror attacks that the Chandravanshis have carried out on the Meluhans. The brave warrior gets enraged, and declares a full war on the enemy. Readers will find this mythological fantasy to be gripping and exciting. Questions about Shiva’s duty, destiny, and karma arise throughout the book. The author has written a book that is adventurous, mystifying, and captivating, but at the same time he also has thrown light onto the subjects of what is evil, and who is truly a hero. This page-turner is a treat for readers who enjoy history, fantasy, and adventure. The Immortals Of Meluha received good reviews from leading newspapers, and was a bestseller within its first week of release. 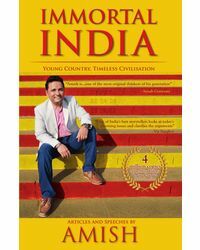 Amish Tripathi, born in 1974, is an Indian author. The second book of the series, The Secret of the Nagas, was published in 2011. The third and the last, The Oath of the Vayuputras, was released in 2013. The author’s books have become the fastest selling book series in the history of Indian publishing. A total of 1.7 million copies have been sold, with a gross retail sale of Rs. 40 crores. 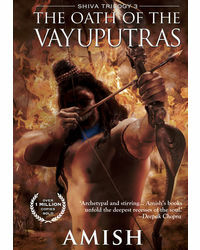 Tripathi’s books revolve around religious and mythological topics, as he is a devotee of Lord Shiva. Tripathi graduated from the Indian Institute of Management, Calcutta, and worked in the financial sector for fourteen years in companies such as IDBI Federal Life Insurance, Standard Chartered, and DBS Bank. In 2012, he was ranked at position 85 of Forbes India’s Celebrity 100 list. About the Book : The land of Meluha is an empire created by Lord Rama, and it is ruled by the Suryavanshis. This empire is powerful and proud, however, the Saraswati river that is their source of water is slowing drying up. On top of that, the empire is at war with the Chandravanshis who have allied with The Nagas, a group of sinister and deformed human beings who have extraordinary martial art skills. The Immortals Of Meluha, published in 2010, is the first story of the trilogy. Daksha, the king of the Suryavanshis, realizes that his empire needs help. He invites a tribe from Tibet to help him fight off the enemies. The Tibetan Guna tribe is lead by Shiva, who is a fearless soldier, and the only one who does not fall ill on arriving at Meluha. To everyone's surprise, Shiva’s throat turns blue. The locals believe that this warrior is their fabled saviour Lord Shiva, also known as Neelkanth. Shiva goes to Devagiri to meet Daksha and his daughter Princess Sati. There, he learns about the dangerous wars and terror attacks that the Chandravanshis have carried out on the Meluhans. The brave warrior gets enraged, and declares a full war on the enemy. Readers will find this mythological fantasy to be gripping and exciting. Questions about Shiva’s duty, destiny, and karma arise throughout the book. The author has written a book that is adventurous, mystifying, and captivating, but at the same time he also has thrown light onto the subjects of what is evil, and who is truly a hero. This page-turner is a treat for readers who enjoy history, fantasy, and adventure. 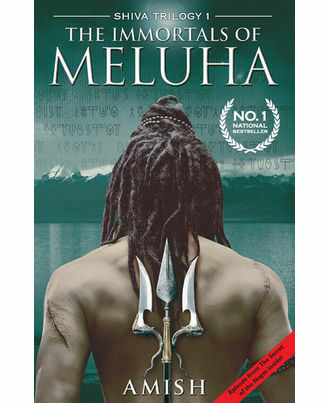 The Immortals Of Meluha received good reviews from leading newspapers, and was a bestseller within its first week of release. 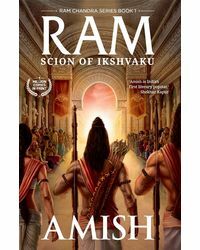 About the Author : Amish Tripathi, born in 1974, is an Indian author. The second book of the series, The Secret of the Nagas, was published in 2011. The third and the last, The Oath of the Vayuputras, was released in 2013. The author’s books have become the fastest selling book series in the history of Indian publishing. A total of 1.7 million copies have been sold, with a gross retail sale of Rs. 40 crores. Tripathi’s books revolve around religious and mythological topics, as he is a devotee of Lord Shiva. Tripathi graduated from the Indian Institute of Management, Calcutta, and worked in the financial sector for fourteen years in companies such as IDBI Federal Life Insurance, Standard Chartered, and DBS Bank. In 2012, he was ranked at position 85 of Forbes India’s Celebrity 100 list.